Quba Sails was founded in 1996 by two friends with a shared passion for sailing and the lifestyle of the coast. Born in the stunning seaside town of Salcombe, Devon, the brand was sparked by an idea to create unique jackets from reclaimed canvas sailcloth. Working with just one talented local seamstress, word of these one-of-a-kind custom jackets spread and Quba's popularity quickly grew from orders by sea-faring locals, to visiting yachtsmen and holidaymakers, and eventually to customers around the globe. Now employing eight expert craftspeople at the specialist manufacturing unit in Devon, including the original seamstress who oversees production, the team create a range of sailcloth products which are handmade to order; including jackets, holdalls, deckchairs and cushions. 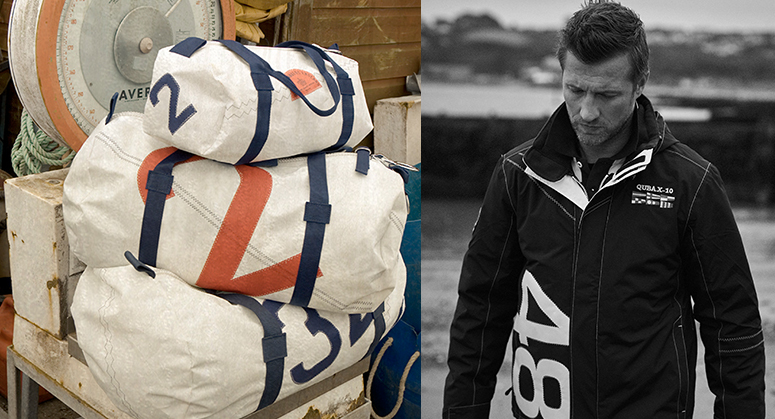 As well as the original Devon-made sailcloth products, Quba has expanded into a fully-fledged outfitter, producing a wide range of nautically inspired clothing and accessories for men and women. Despite the brand’s growth, Quba’s humble beginnings in Devon continue to inspire each collection, with the charismatic coastline and salt-washed colours of the seaside at the heart of Quba’s distinctly British designs.